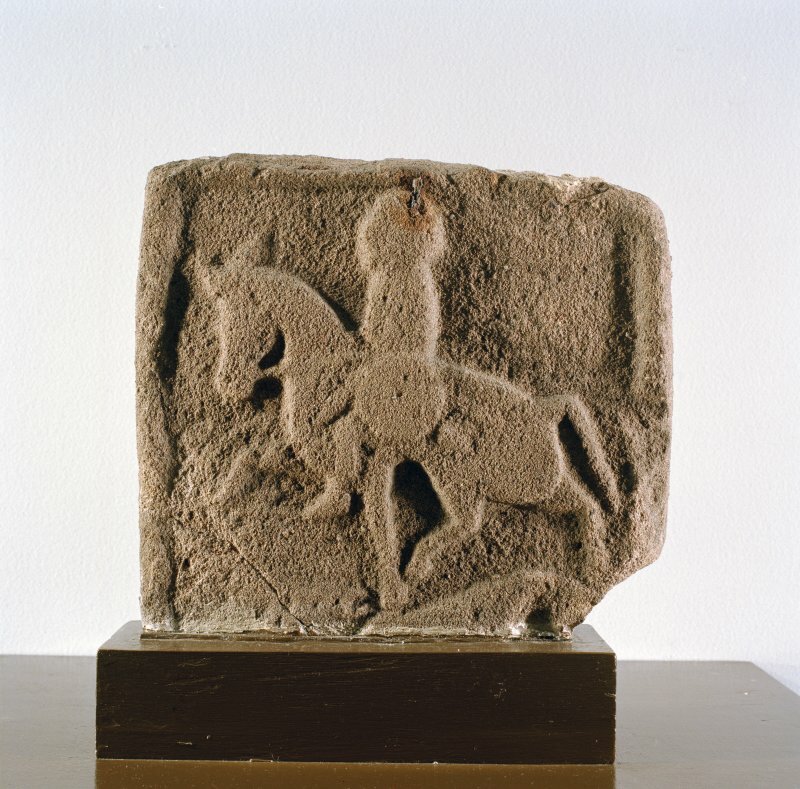 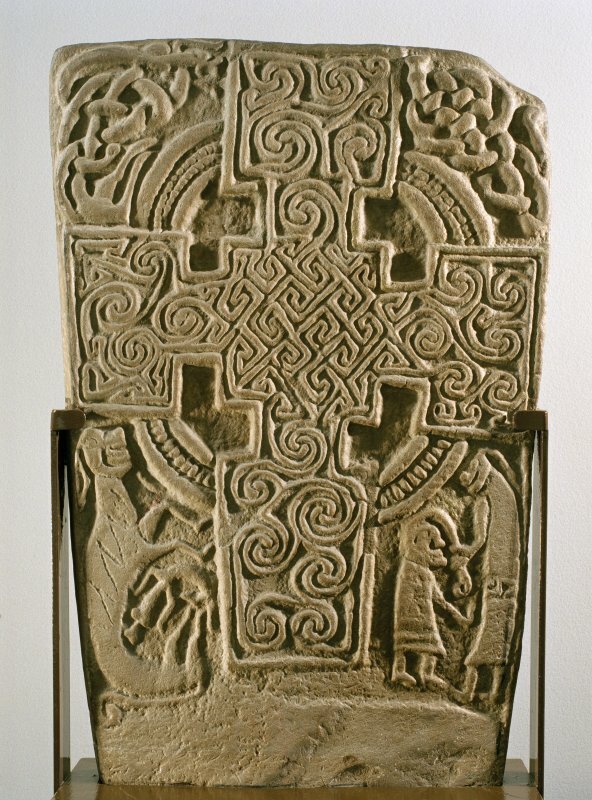 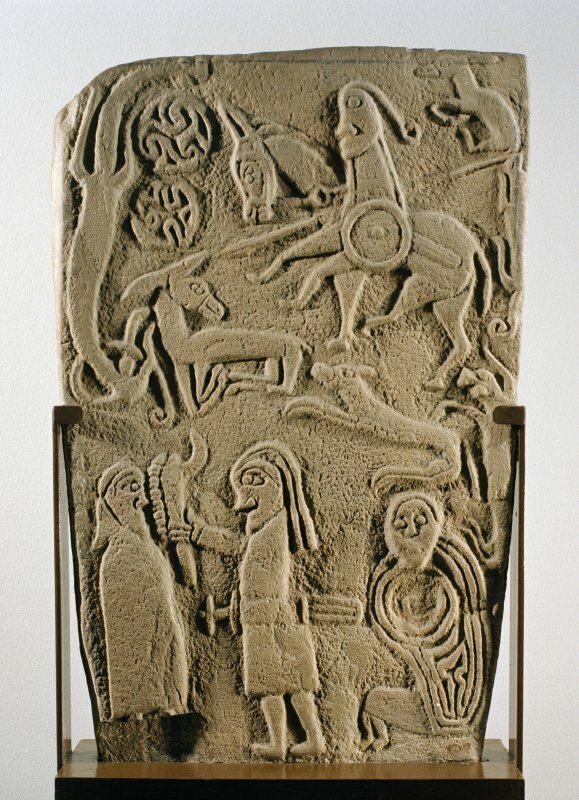 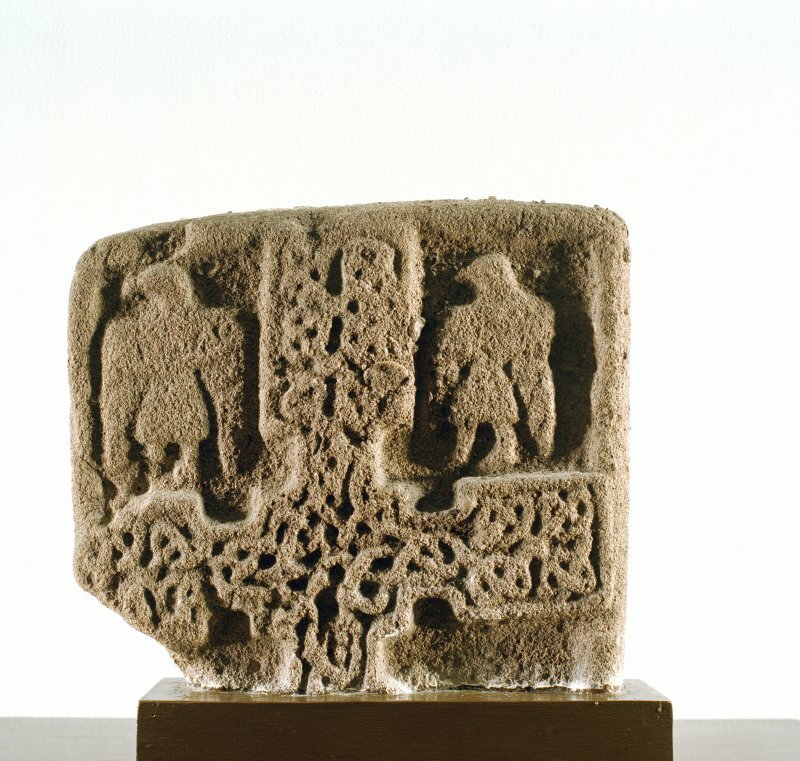 Face of cross-slab (no.2), on display in Montrose Museum. 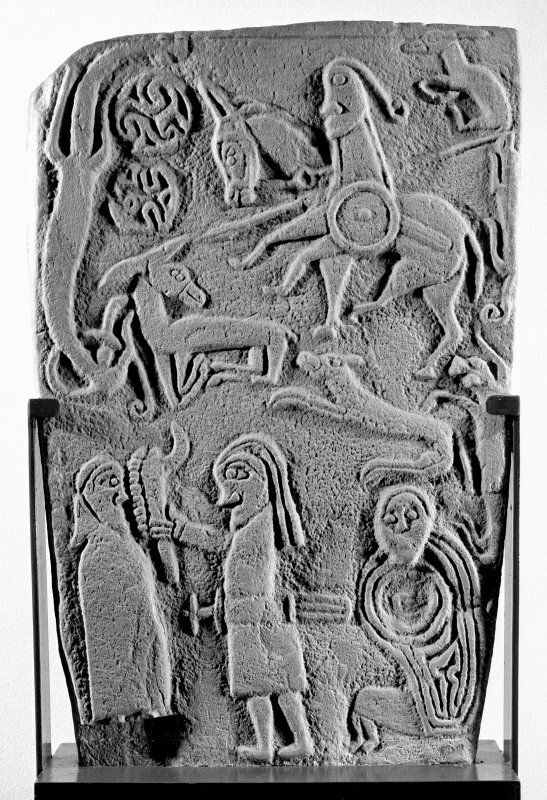 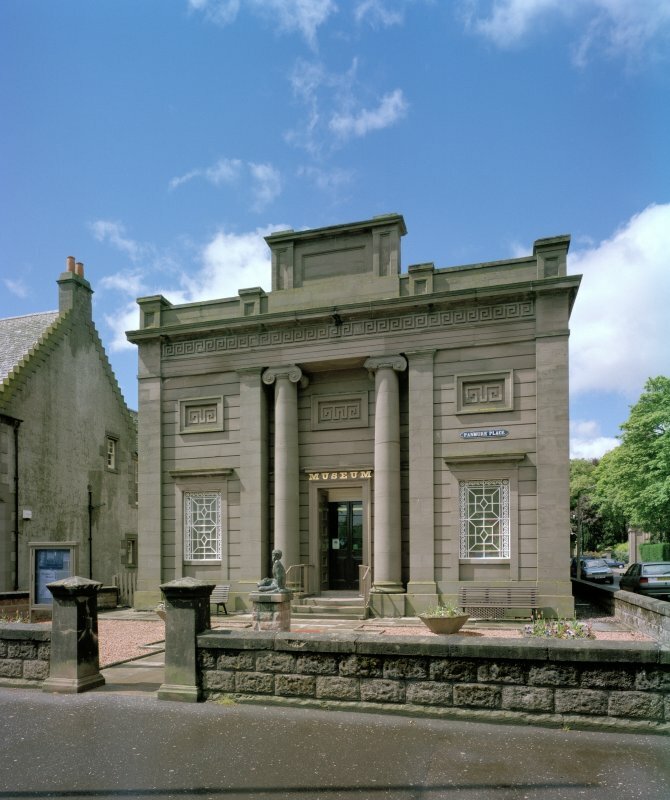 View of E entrance elevation, Montrose Museum, from E.
Reverse of cross-slab (no.2), on display in Montrose Museum. 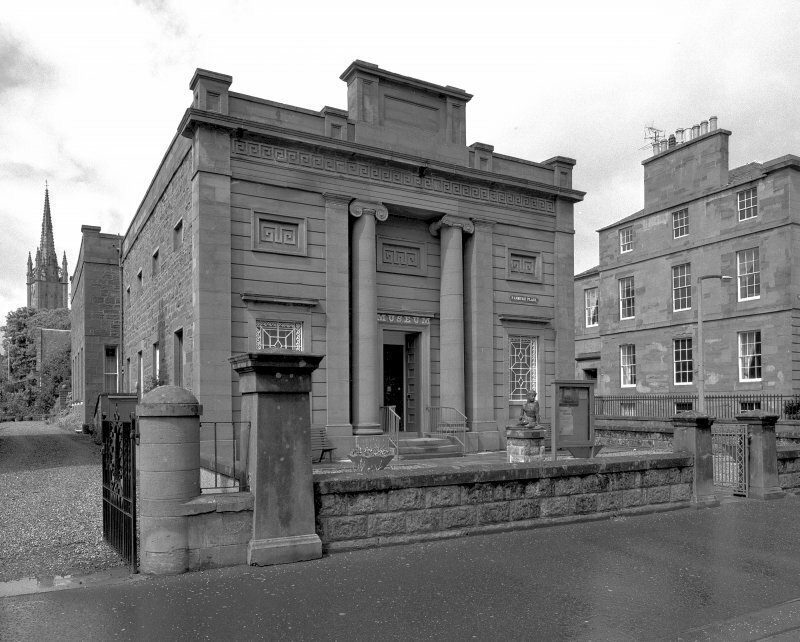 Architect of Library extension on Museum Street:- J Sim (1888).